After being discarded by Manchester City, Birmingham snapped up Hart on a loan deal for the season. This proved to be a very good bit of business by Alex McLeish. Hart was superb throughout the season and should go to the World Cup with England as a result. Personally I think he should be England's starting keeper. Even if he's not, it only seems a matter of time before he becomes their Number 1. It's easily forgotten that until the Champions League quarter-final tie against Liverpool in March 2009, Ivanovic was regarded as a liability by most of his own supporters. He scored twice in that game as hasn't looked back. Not only has he arguably been Chelsea's best defender this season but has done it in a position that's not even his best one. I'll be interested to see how he does at the World Cup for Serbia in his preferred position of centre-half. Special Mentions: None. The standard in this position has been poor with Ivanovic the only viable contender. To be honest, Ashley Cole would have got in if he never had broken his foot against Everton. Stephen Warnock was also a good shout until a roasting from Antonio Valencia in the Carling Cup Final wrecked his season. Evra's sheer durability & consistency makes him this season's best left-back. The Frenchman wasn't at his best but was still better than the rest over the course of the last nine months. Foreign players traditionally take a few months to settle when coming to England. Vermaelen scored on his debut and excelled in a faltering Arsenal side throughout the season. He seems to have everything a centre-half needs, and is remarkable in the air for someone who isn't even six foot tall. He had to hold the Arsenal defence together on his own on occasions and looks next in line to captain the club when Cesc Fabregas finally leaves The Emirates. He could be Arsenal's best defender since Tony Adams. Dawson always looked to be a player whose application was never in question. But his concentration and lack of pace seemed an obstacle that he could never overcome. This season, Dawson has improved his weak points while remaining one of the Premier League's bravest defenders. He has improved his awareness and cut out the silly mistakes that blighted him in the past, and may even find himself on the plane to South Africa this summer. If he can add a few more goals to his game then he may displace John Terry from the England side within the next year. With no outstanding candidate for this position, I plumped for the man who had to do a lot of the work left by the Real Madrid bound Cristiano Ronaldo. And while replacing Ronaldo was an impossible task, he didn't do a bad job of trying. Valencia harkens back to the old fashioned winger that we don't see much in football any more. He showed his impressive temperament to cope with a big money move and I feel that we are yet to his the best of him. Keep an eye on his goal count next season. Guus Hiddink was the man to unlock the French midfielder's talent in the second half of 2008/09 season. But that's been forgotten, simply beacuse Malouda has outstripped those earlier performances with how he's played this time round. His man of the match display in Chelsea's 2-1 win over Man.Utd was the key game in this Premier League season. If Malouda was not the league's best player, he was definitely the most decisive one. Francesc Fabregas (Arsenal) - He missed two sizable chunks of the season with injury, and yet still produced his best season in terms of goals (15) and was second in the league in assists. Fabregas at times was inspirational. He has matured since being given the captaincy 18 months ago and is not only the orchestrator of Arsenal's style of play but has become the team's soul, similar in the way that Roy Keane was at Manchester Utd. It's no coincidence that Arsenal only won one match after Fabregas broke his leg against Barcelona in March. Fabregas produced one of the all-time great Premier League performances at the end of 2009. Barely fit for action he came off the bench against Aston Villa and turned the match Arsenal's way on his own. He scored twice, injuring himself so severely scoring the second goal, that he had to come off again. He had not even been on the pitch for 30 minutes and transformed a tight 0-0 into a comprehensive Arsenal victory. The Premier League will miss him when he inevitably returns to Spain. Frank Lampard (Chelsea) - If I'd have done this team back in March, Lampard wouldn't be anywhere near getting in this team. But he has been sensational in the business end of the season. His best Premier League return for goals and assists. Here's an earlier blog post from me about the man, http://sportshistoryshow.blogspot.com/2010/03/20-premier-leagues-mr-durable-does-it.html. There's no player in England whose qualities are taken for granted more than Lampard's. Simply one of the best the Premier League has ever seen. Didier Drogba (Chelsea) - His conduct when Chelsea secured their first league title for four years summed him up. After sulking like a toddler when regular penalty taker Frank Lampard wouldn't give Drogba the chance to score himself was a disgrace. However he scored a hat-trick in the second half and ended the season as its top goalscorer. This is doubly impressive given that Drogba missed part of the season while competing for the Ivory Coast in the African Cup of Nations. When on song, he is unplayable. And he was on song more often than not this season. 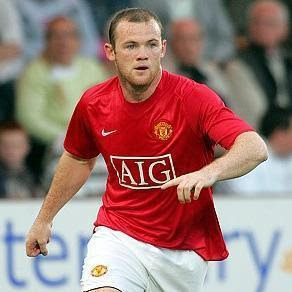 Wayne Rooney (Manchester United) - Before the season began, Rooney gave a prescient newspaper interview, saying that this was the time for him to go from someone who could be a great player to someone who is a great player. Well he's on his way. Rooney was sensational, finally being released from the shackles from having to play Cristiano Ronaldo's water carrier for the past two seasons. He looks to have converted himself from a playmaker to the complete centre forward. Every England fan knows that a fit and firing Rooney could maybe, just maybe, win England the World Cup. Carlo Ancelotti (Chelsea) - Only after winning the title does Ancelotti seem to be getting the credit he deserves. While the likes of Roy Hodgson and Harry Redknapp can be pleased with their work this season, how they can be considered manager of the year by some is beyond me. Not only has Ancelotti won the Premier League in his first season (a feat only ever accomplished by Jose Mourinho) but he's on track to win the double for the first time in Chelsea's history. And unlike previous Chelsea bosses, he hasn't had the transfer budget of his predecessors. He is slowly banishing the ghost of 'The Special One' that has hung over Chelsea since 2004 and is moulding the West Londoners in his image. This was shown after giving Drogba an earful. While childishly moaning at half-time against Wigan, Ancelotti told him in no uncertain terms to "shut up". Drogba went out and scored a hat-trick.